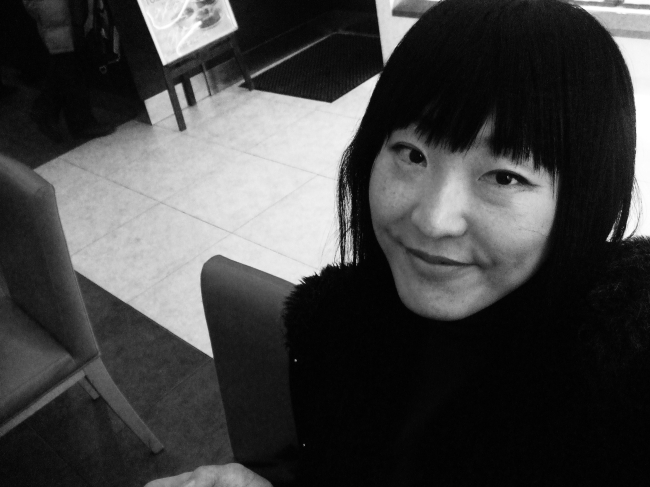 The English translation of Korean author Bae Su-ah’s short story “Highway with Green Apples” has been published in “Day One,” Amazon’s digital literary journal dedicated to short fiction and poetry from emerging writers, as well as translations of non-English literature. It is the first time that a Korean work of fiction has been published in the journal, according to the Literature Translation Institute of Korea. Born in Seoul in 1965, Bae is considered one of the most unconventional writers in Korea. After graduating from Ewha Womans University with a degree in chemistry, Bae worked as a government employee at Gimpo International Airport while writing in her free time as a hobby. She made her literary debut in 1993. Bae’s works are known for her unusual and almost eccentric characters, as well as their distinctive flair. Her 2003 novel, “An Essayist’s Desk” ― a tale of love, loss and memories ― in particular, reads almost like a series of essays about music, language and art, while using disruptive narrative. “Highway with Green Apples” is Bae’s 1995 work that tells the story of a young woman in her 20s who works as a retail clerk at a department store. She dropped out of college and ran away from her family, whom she never felt too close with while growing up. She tries to seek affection and comfort from her boyfriend, who works at a bank, but their two-year relationship gradually loses its spark. Gabriella Page-Fort, an editor for Amazon, said through LTI Korea she wanted to introduce the short story “as soon as possible” to the readers in the U.S., as she “almost fell in love” with the “very charming” work of fiction. LTI Korea also recently updated Wikipedia pages of a total of 242 Korean authors, providing credible information on each writer’s life and works. The government institute also provided the same information in other languages, including French, Spanish, and German.